CXXXVI, 808 p., 18 ill., 15,8 x 20,8 cm. 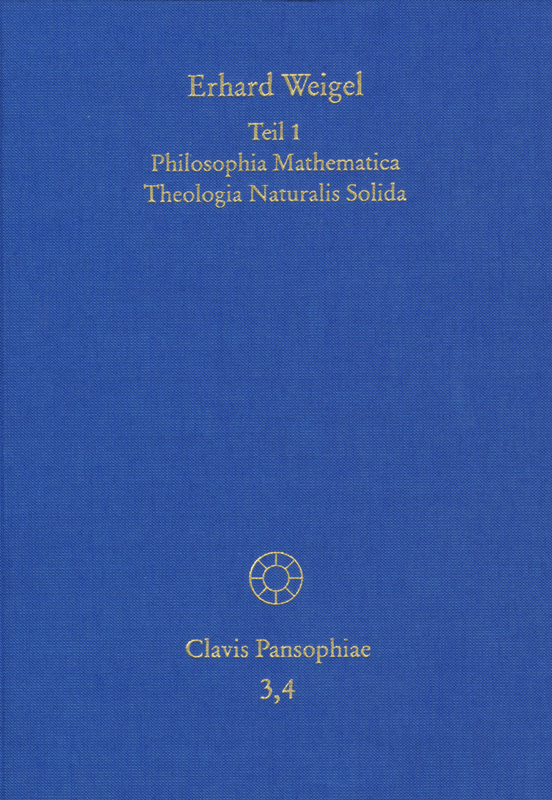 This treatise (published in 1693) develops the concept of a universal science based on mathematics. It is also conceived as a methodologically exact natural theology. The foundation of this method is provided by the outlines of a universally applicable research logic modeled on geometrical analysis. The treatise contains a mathematically modeled doctrine of creation deployed as a metaphysics of movement, according to which the creature is understood as a geometrical image of divine thought. Weigel confronts the advance of atheism in his society with a mathematical proof of God’s existence, to which Leibniz responded with an elaborate critical appreciation.